A violent brute who subjected his former girlfriends to months of physical and verbal abuse is now waiting to see if he will be heading for prison. First offender Kieran Hoskins (28) repeatedly punched and hit one former girlfriend, often grabbing her by the hair and face and spitting on her head and body in disgusting attacks. He aggressively shouted derogatory insults at the young mum and made her fear for her safety by threatening her and her family with violence and sending her abusive and offensive text messages and voicemails. Hoskins had already subjected another former partner to similar verbal abuse, repeatedly shouting and swearing at her, making derogatory remarks and uttering violent threats, Livingston Sheriff Court heard today. Hoskins pled guilty to one charge of assault to injury and two counts of breach of the peace and has his sentence deferred for background reports. Hoskins, of Murrayburn Park, Edinburgh, pled guilty to committing two offences against one partner at addresses in Bo’ness and Bathgate between January 2016 and October 2017. 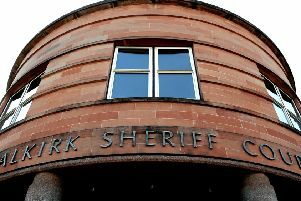 He also admitted behaving offensively towards his earlier partner at an address in Robertson Avenue, Edinburgh, between October and December 2010. Kirsty Lyons, prosecuting, moved for sentence and revealed Hoskins had no previous convictions. She said she would prepare an agreed written narrative of the offences when the accused returned to court for sentencing on March 29. Alan Jackson, defending, stressed that Hoskins had no criminal record and no matters outstanding. Turning to Hoskins, Sheriff Kinloch told him: “You’re charged with behaving in a similar manner towards two different people, both described as former partners. For example, you’re charged with shouting and swearing and making derogatory remarks towards them and you’re also charged with assaulting one of these former partners by repeatedly punching and hitting her on the head and body and doing other things. “You’ve pled guilty to these charges so these weren’t only single actions and the assaults as I understand it weren’t all single actions. “While I don’t know the details of the circumstances which led to these charges, it’s obvious to me background reports will be necessary before sentence is passed. “I’m going to continue the case for a pre-sentence report so you’ll need to come back before the court.